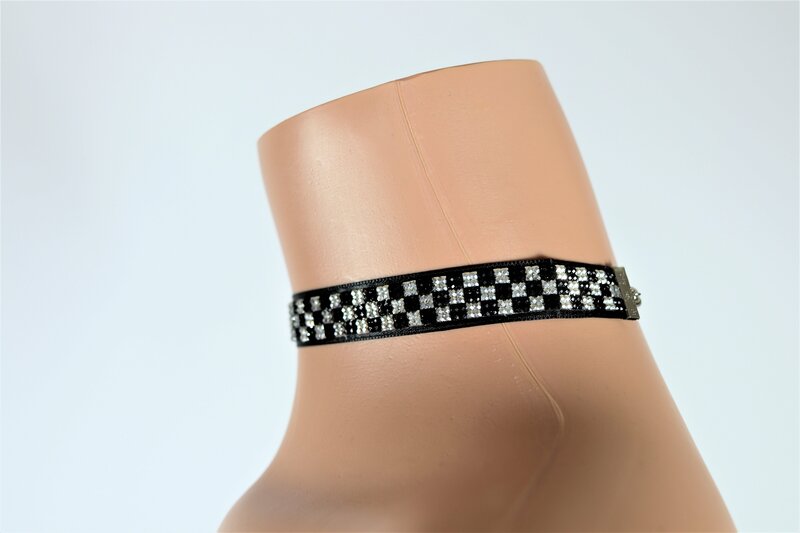 A ribbon choker featuring a checkered design with rhinestones and a lobster clasp closure. I bought this with the Checker crop top and I love it! Very cute and well made!